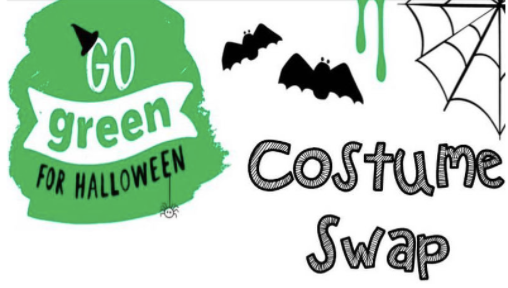 Go Green For Halloween Costume Swap! We will be hosting our 2nd annual “Go Green For Halloween Costume Swap” on Saturday, Oct. 7th. Instead of purchasing new costumes each year, we encourage the community to swap their slightly used costumes to save resources, packaging, transportation costs, and money. Anyone interested in participating can drop off gently used costumes for children, teens or adults on Thursday, Oct.5 from 5:30 to 7:00 p.m. or Friday, Oct. 6 from 3:30 to 5:00 p.m. Costumes should be in GREAT condition. Participants will get a token for each costume donated. Return on Saturday, October 7 from 9:00 a.m. to 11:00 a.m. with your token and shop for a swap. Any costumes and accessories remaining will be donated. Email Cherise at: office@bwumc.org if you have any additional questions.